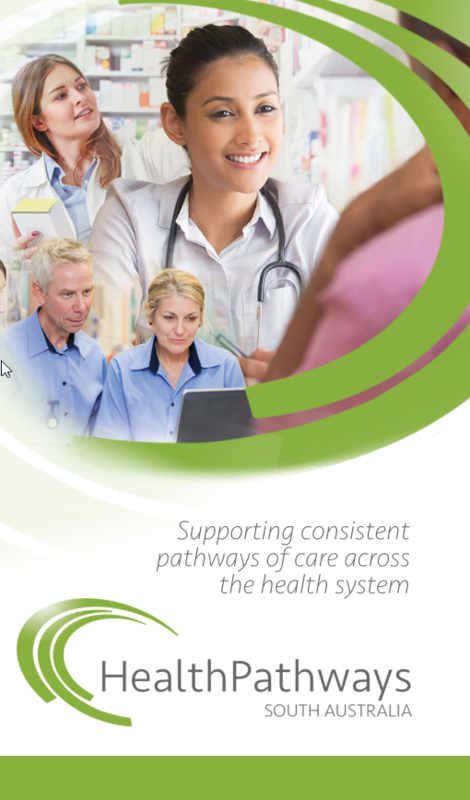 HealthPathways is a highly successful model developed by Streamliners N.Z Ltd. and Canterbury District Health Board, and has been localised by health professionals across Australia. HealthPathways is an online portal that provides General Practitioners (GPs) and other health professionals with easy access to comprehensive, evidence-based assessment, management and localised referral resources for specific health conditions. HealthPathways assists health professionals to care for patients in the community, and establishes standard, agreed referral criteria for local health services across South Australia. HealthPathways enables primary and acute sector health care professionals to work together to improve patient access to the right care at the right time in the right place. Who can use HealthPathways South Australia? 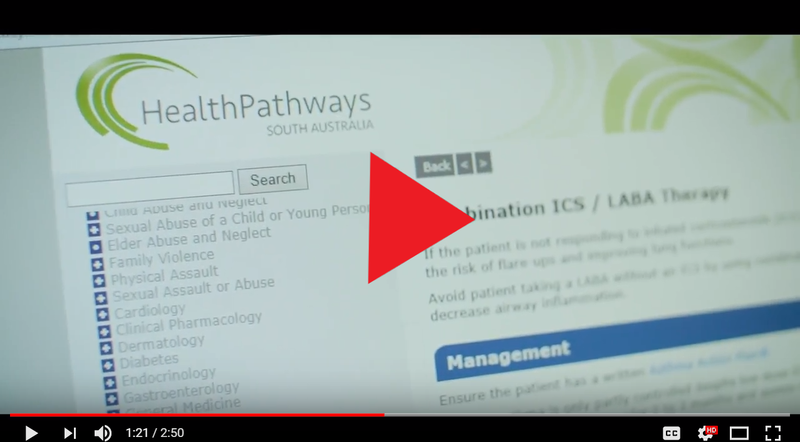 HealthPathways is designed to be used at the point of care by GPs, however is also available to health care professionals across South Australia for use within their scope of practice. HealthPathways is not designed to be used by the general community. However, depending on the specific pathway, relevant patient resources will be available on the portal for health professionals to provide to patients to support their care. Who is developing HealthPathways South Australia? HealthPathways South Australia (SA) is a partnership between SA Health, Adelaide Primary Health Network and Country SA Primary Health Network. The partners have established a team to develop and implement HealthPathways South Australia. The HealthPathways team includes GP Clinical Editors, Clinical Coordinators and Clinical Leaders from across the primary and acute health sectors. General Practitioners, hospital specialists, nurses, allied and other health professionals will be engaged to collaborate on the development and localisation of HealthPathways. How are pathways localised? Each pathway goes through a development process. If you are interested in being involved in localisation of pathways, please contact us indicating pathway/s or clinical areas of interest. Check the Pathway Progress tab for a live and up-to-date status of current pathway development. If you would like to suggest a clinical area or pathway for development, please complete the Suggesting a Pathway form and email to the HealthPathways SA Team at the above address. About us...all team members are based across the partnership (SA Health, Adelaide PHN, Country SA PHN) and work together as the HealthPathways Team. GP Clinical Editors - Responsible for localisation of HealthPathways content, facilitating local Clinical Work Groups and participating in the effective implementation of approved pathways into existing practice. Clinical Leaders - Work in partnership with the HealthPathways South Australia Team to develop and implement the HealthPathways Program. The role draws on clinical and healthcare system knowledge and experience to guide the localisation of the HealthPathways, and support discussion across professional networks to inform pathway development and implementation. Clinical Coordinators - Responsible for supporting development, implementation and maintenance of the HealthPathways program.